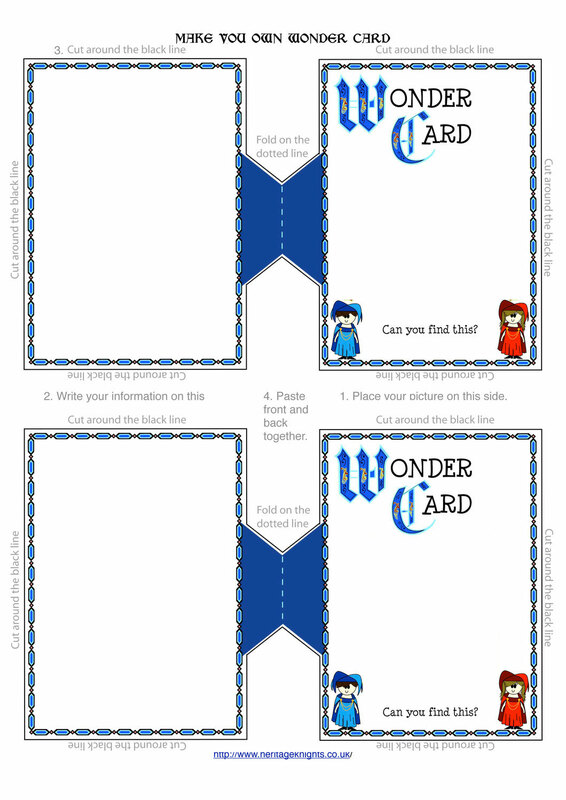 Make Wonder Cards - The website of the heritage knights! Checking out a wonder card. Heritage detectives make wonder cards from their chosen wonder points. Heritage detectives are out to discover what Arthur would recognise today. All wonder cards must start with a Wonder Point that can be seen, touched and photographed today! Go out exploring and select a wonder point. Make notes about it, including the location. Its no good if you can't find it again! Make a good drawing or take a photograph to go on the front of the wonder card. Find out more about your wonder point, including its age. When you have all the information you need you can set about making your card. Download a wonder card template. Now you have a choice and it really doesn't matter which choice you make as long as you en up making a Wonder Card to add to your collection. You may decide to stick on your picture and write the information on the back. Write your information on the back. Stick the front and the back together. put your Wonder Card into your Collection. send a digital copy to the Heritage Knights fro the web site. Your completed wonder card are now ready to place on a timeline. 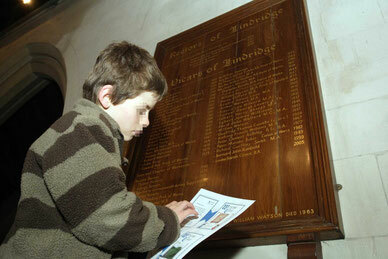 Inexperienced heritage detectives developing their detective skills may be given just one side of a wonder card. The first task is to spot the image, make notes about it and take a photo or draw an image. Skills required: looking, matching and recording skills. 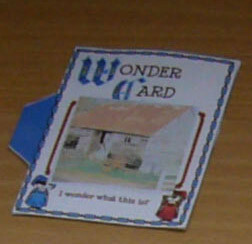 The next task is to to select an appropriate back from a selection of wonder card backs. Skills required: reading and thinking skills. Once these skills have been accomplished the detective can start to make their own Wonder Cards.